Jacksonville, Fla., roofing company, Great White Construction Inc., has been cited and fined after OSHA inspectors observed employees – without the use of proper fall protection – removing shingles and plywood sheeting from the roof of a multi-story residential structure. Although the employees wore harnesses, they were not tied off to the rope grabs and roof anchors. Great White was cited with 14 violations and proposed penalties totaling $1,523,710. Given the employer’s extensive prior history of violations, OSHA issued 11 separate willful citations for failing to protect employees from fall hazards. The company was also cited for three repeat violations for failing to ensure employees used eye protection while operating nail guns and for ladders used to access roof sites, again exposing employees to fall hazards. OSHA has investigated the company 12 times since 2012, and issued 22 citations for similar violations. Great White is now in the agency’s Severe Violator Enforcement Program. For more information, read the news release. Loren Sweatt joined the Occupational Safety and Health Administration July 24, 2017. 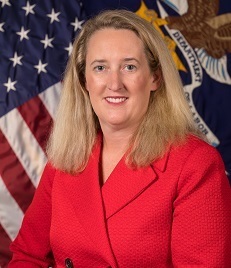 Ms. Sweatt joins the agency from the U.S. House of Representatives where she served as a Senior Policy Advisor at the Committee on Education and the Workforce for the last 15 years. In this role, Ms. Sweatt handled workplace safety issues before the Committee to include OSHA and the Mine Safety and Health Administration. Ms. Sweatt holds a BA in Political Science from Texas Christian University and an MBA from Marymount University. Employers across the country are taking steps to protect their employees from the risk of heat exposure by gradually increasing shift lengths so they can adapt to hot environments, providing frequent water breaks, allowing ample time to rest, and providing shade. In the June 15 issue of QuickTakes, we shared specific measures employers are taking to keep their workers safe from extreme heat. Below are more examples. For others, and to submit your own, visit our heat campaign webpage. Aegion Coating Services LLC provides corrosion protection for structures and facilities around the world. The company’s Corrpro subsidiary has a heat management campaign that provides heat illness prevention training and weekly bulletins on heat management topics relevant to the company’s scope of work. 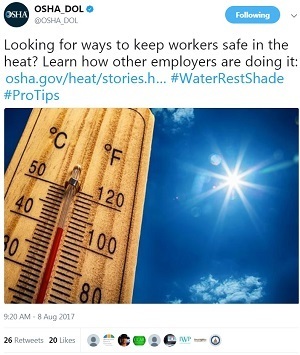 Workers use the OSHA-NIOSH Heat Safety Tool app to monitor the heat index along with a company custom-built app to report and evaluate heat exposures and responses. This technology is combined with supervisors’ participation in weekly and monthly audits that directly support and improve summer safety plans. The program has resulted in two full years without any heat-related incidents among Corrpro’s 1,200 employees. Precision Castparts Corp. is a metal foundry in Groton, Conn. During the summer, outdoor temperatures and humidity combined with ovens that reach 1,500-2,000°F put workers at greater risk for heat illness. All employees are educated about the warning signs and symptoms of heat-related illnesses, as well as the immediate actions to take until trained on-site first aid responders and/or EMS arrive. When the heat index reaches an action level for employees performing strenuous work, increased water intake is mandated, and electrolyte replacement fluids are provided. Additionally, these workers can go to a designated Heat Stress Recovery Area during the mandatory rest cycle. To minimize the effect on production, qualified employees from other departments can be brought in to replace the primary workers while they are resting. Schnetz Landscape Inc. in San Diego emphasizes the importance of personal protective equipment to shield its workers from the sun in addition to the fundamentals of water, rest and shade. Neck visors and head wraps made of treated fabrics block UV rays, wick away sweat, and stay cold when wet. These provide workers with relief from the heat by keeping their heads and necks cool. Each year the U.S. Air Force promotes an extensive campaign to remind and educate all its personnel about fall prevention and the risks associated with working at heights. 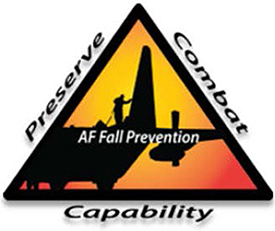 This year’s Air Force Fall Prevention Focus, held in conjunction with OSHA’s National Safety Stand-Down, reached more than two million people, including active duty, Air National Guard, Air Force Reserve, civilians, contractors, and family members. Across the world, Air Force members were encouraged to take breaks to discuss fall prevention measures, equipment, and policies with their supervisors. Bases hosted OSHA fall hazard awareness training, conducted live fall protection demonstrations, displayed safety messages, and commercials were broadcast across the Armed Forces Network. Since the Air Force began focusing on fall prevention in 2014, work-related fall injuries have decreased nearly 31 percent. OSHA will hold a second meeting on Aug. 28 to continue the discussion on the future direction of the agency’s Voluntary Protection Programs. The meeting, to be held in New Orleans, will include a review of the July 17 meeting, along with comments and suggestions from the public on potential avenues for action. 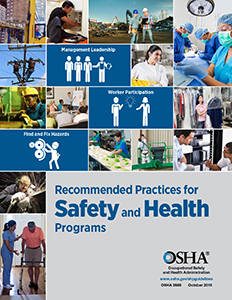 OSHA is seeking to reshape VPP so that it continues to: represent safety and health excellence, leverage partner resources, further recognize the successes of long-term participants, and support smart program growth. OSHA invites stakeholders to provide new ideas on the overall VPP process and flow; corporate/long-term participant involvement; and Special Government Employees activities. For details on submitting comments and registering to attend the meeting, read the news release. The Gulf Coast Safety Council renewed a three-year agreement to address safety and health hazards associated with the local petrochemical industry, including falls, equipment operation, and chemical hazard communication. The alliance has delivered training for contractors and business owners, reaching more than 39,500 people. The Louisiana Forestry Association/Louisiana Logging Council renewed a three-year agreement to address safety and health hazards associated with the local logging industry, including struck-by, falls, caught-in-between, equipment operation, and environmental hazards. Last year more than 600 people attended 26 council chapter meetings held to help keep loggers informed about the industry hazards. The DJ Basin Safety Council renewed a four-year agreement to address safety and health hazards in the upstream oil and gas industry, including hydrocarbon exposures, fires/explosions, falls, struck-by, and transportation/driving. The American Society of Safety Engineers - Big Sky Chapter renewed a five-year agreement to address safety and health hazards, including woodworking and walking/working surfaces in general industry; and trenching/excavation, temporary workers, and falls in construction. Spruce Park Auto Body Inc. of Anchorage, Alaska, contacted OSHA’s On-site Consultation Program to learn cost-effective ways to improve its safety and health program. After the initial consultation visits, the company implemented advanced safety measures such as upgrading respiratory protection controls and improving its hazard communication program. In 2001, the company was admitted into OSHA’s Safety and Health Achievement Recognition Program for operating an exemplary safety and health program. Since then, they have instituted additional safety measures such as allowing staff to give feedback about the personal protective equipment they use and reducing worker exposure to hazardous compounds by switching from solvent-based to water-based paints. As a result of the company’s continued participation in SHARP, its injury and illness rates dropped to and remained at zero since 2011. For more information, see Spruce Park Auto Body’s success story. From June 12-18, more than 100 organizations, many of which participate in OSHA’s Cooperative Programs, partnered with the agency for the first Safe + Sound Week promoting workplace safety and health programs. Kathi Dobson of the National Association of Women in Construction (an Alliance Program participant) and safety director at Alberici Constructors in St. Louis, led the company’s efforts to find and fix hazards before they caused injuries. These efforts included workers performing walkarounds to identify hazards before the start of each workday, and management tracking trends and incidents so that they can better respond to hazards. Learn more about Alberici’s safety journey and their tips for starting a safety and health program here. OSHA issued $207,690 in proposed penalties to UHS of Westwood Pembroke, Inc. – doing business as Lowell Treatment Center – a behavioral health facility in Boston, for violations found while conducting a follow-up inspection. In June OSHA issued the center a notification of failure to abate a violation involving workplace violence following a serious violation related to the same hazards that inspectors found in 2015. As a result of the 2015 inspection, the employer and OSHA entered into a Formal Settlement Agreement that outlined specific provisions of a workplace violence prevention program. OSHA opened a follow-up inspection in January of this year after the center failed to provide documentation to show that it had implemented a workplace violence program, and the agency received a complaint alleging employees remained at risk. 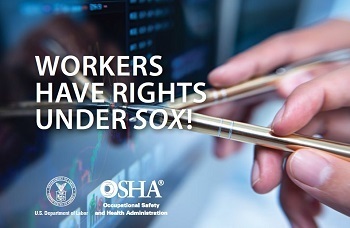 OSHA found the center had failed to comply with multiple terms of its agreement, and that – despite previous citations and worker injuries – the risks of workers suffering fatal injury or serious harm had not been adequately addressed. For more information, read the news release. Aluminum Shapes LLC in Delair, N.J., was cited for multiple safety and health violations after OSHA inspectors learned that employees were hospitalized following separate workplace incidents. In one incident employees suffered chemical burns and in a second occurrence a machine operator suffered a broken pelvis after being caught between unguarded machine parts. The aluminum manufacturing company was cited for 51 violations, including failure to: provide personal protective equipment; conduct air monitoring prior to entering a confined space; and train workers to use lockout/tagout procedures. Proposed penalties total $1,922,895. Read the news release for more information. California OSHA issued six citations and $142,715 in penalties to Crenshaw Manufacturing Inc. in Huntington Beach, after a worker had three fingers amputated while manually loading products into an operating punch press. Cal/OSHA inspectors determined that the company failed to conduct regular inspections of power presses to ensure adequate machine guarding, did not conduct performance checks on power presses, and failed to provide employees with safety training. The Hawaii Occupational Safety and Health Division issued 12 citations and $47,000 in penalties to Aloha Stadium in Aiea for exposing workers to safety and health hazards. HIOSH inspectors concluded that the stadium’s operating company failed to require appropriate personal protective equipment for workers operating power grinders and table saws. Other violations included failure to: provide eye wash stations for workers handling batteries that contained corrosive chemicals; secure drill presses to the floor, exposing workers to potential struck-by hazards; and properly guard table saws with hoods, which exposed workers to laceration and amputation hazards. OSHA recently revised its whistleblower complaint form to help users file a complaint with the appropriate agency. The form provides workers with another option for submitting retaliation complaints to the U.S. Department of Labor’s OSHA. The new form is available in English and Spanish. Workers can also file complaints by fax, mail or hand-delivery; or calling an OSHA regional or area office. For more information, see the news release. The U.S. Department of Labor has ordered Wells Fargo to reinstate and pay $577,500 to an employee terminated after reporting that she believed at least three employees working under her supervision committed bank, wire, and mail fraud. Department investigators determined that Wells Fargo fired the Pomona, Calif., branch manager because of concerns raised that employees were opening customer accounts and enrolling customers for bank products without their knowledge or consent. The employee was also terminated for reporting violations of consumer financial laws. In addition to the monetary award, the order also requires Wells Fargo to clear the employee’s personnel file and post a notice informing all employees of their whistleblower protections under the Sarbanes-Oxley Act and Consumer Financial Protection Act of 2010. Read the news release for more information. 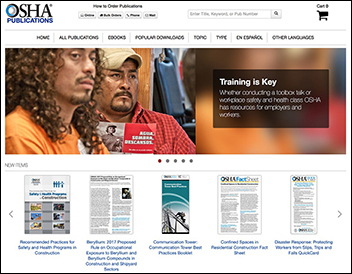 OSHA’s publications webpage has been redesigned based on user data and feedback to better engage its many audiences and improve the way it functions. New and popular publications for specific industries or hazards are now easier to download and order. The webpage is formatted for all devices and platforms, from desktop monitors to smartphones. 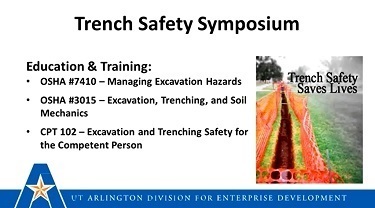 Now available online is a video of the June 27, 2017, Trench Safety Symposium webinar conducted by representatives from the National Utility Contractors Association, OSHA, and the University of Texas at Arlington. The symposium focused on ways to prevent trenching and excavation hazards in the construction industry. Visit OSHA’s trenching and excavation webpage for more information on working safely in trenches. 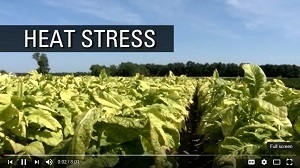 The North Carolina Department of Labor’s Agriculture Safety and Health Bureau, the Farm Labor Practices Group, NC State University and industry stakeholders collaborated to produce safety training videos addressing agricultural safety and health hazards faced by tobacco farm workers. These include heat illness and struck-by hazards from farm equipment. The videos also offer guidance on applicable labor laws and regulations, and improving farm labor practices on tobacco farms. The videos are available on YouTube.